On wedding day, we all know that the bride and groom are the star of the show and is the center of attention. 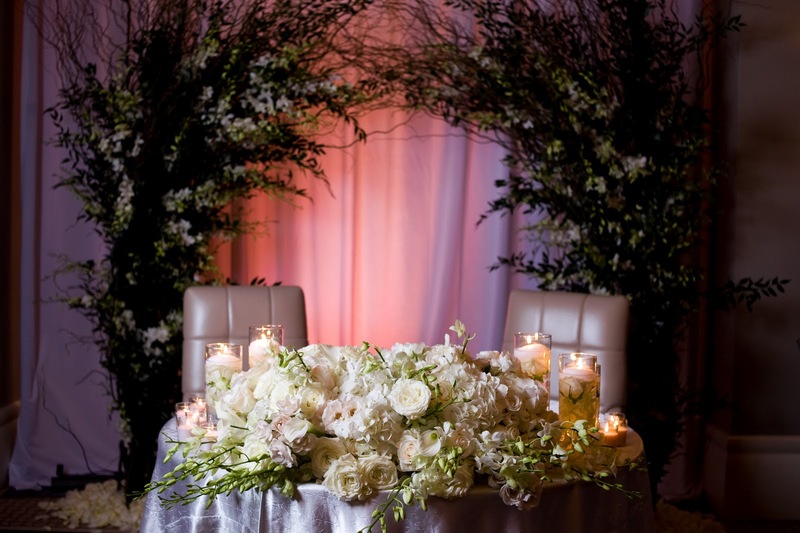 Although some couples prefer to sit with their families or the bridal party at an estate table, some actually love the spotlight. 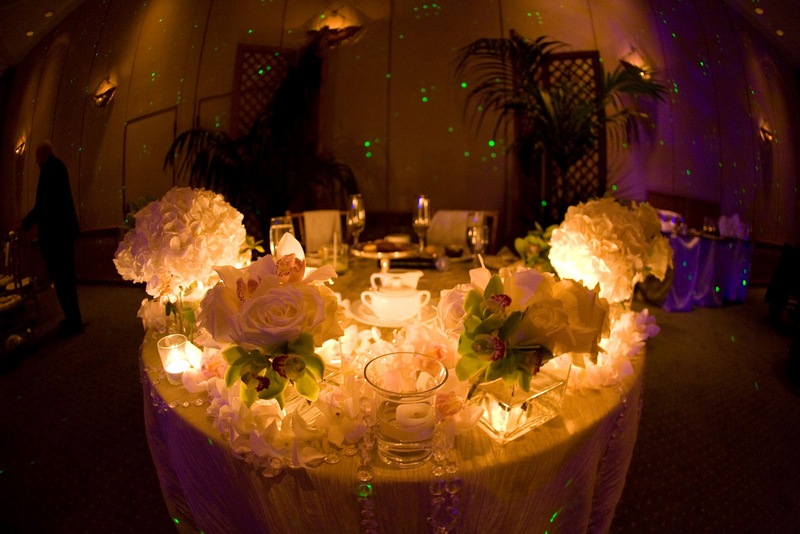 An elegantly decorated sweetheart table can provide the perfect showcase for the happy couple. 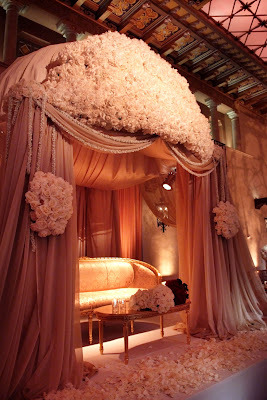 If you'd like a little lounge area for the two of you, here is an awesome "love nest".